The gospel of John invites us to make a significant transition from ʻbreadʼ [the Jewish Passover meal] to ʻflesh-and- bloodʼ – the whole person [Jesusʼ replacement of the passover with the offering of his life on the cross]. The special Jewish celebration of Godʼs love and forgiveness is now replaced with the Cross – the sign of Godʼs love and forgiveness for the whole world. Unleavened Bread and Passover Lamb has now become a sacrificial meal transformed. Wine and Bread is now transformed to Blood and Flesh because Jesus has said it, promised it, given it. Enlightened or confused? The deep language and expression of love helps our heart seeking understanding. Love desires to ʻgiveʼ and gift oneʼs ʻpresenceʼ to the beloved. To resolve the human difficulty of not knowing how to come to God, we find God comes to us through the gift of the true presence of Jesus in the body and blood at Mass. We are seated at a God- given (wisdom) banquet. For John, it is not enough to ʻbelieveʼ in Jesus, we are also called to ʻreceiveʼ the physical gift and life-presence of Jesus into our physical bodies. Do you receive in ʻignoranceʼ or with ʻknowledgeʼ? True life, ʻeternal lifeʼ is given and received. 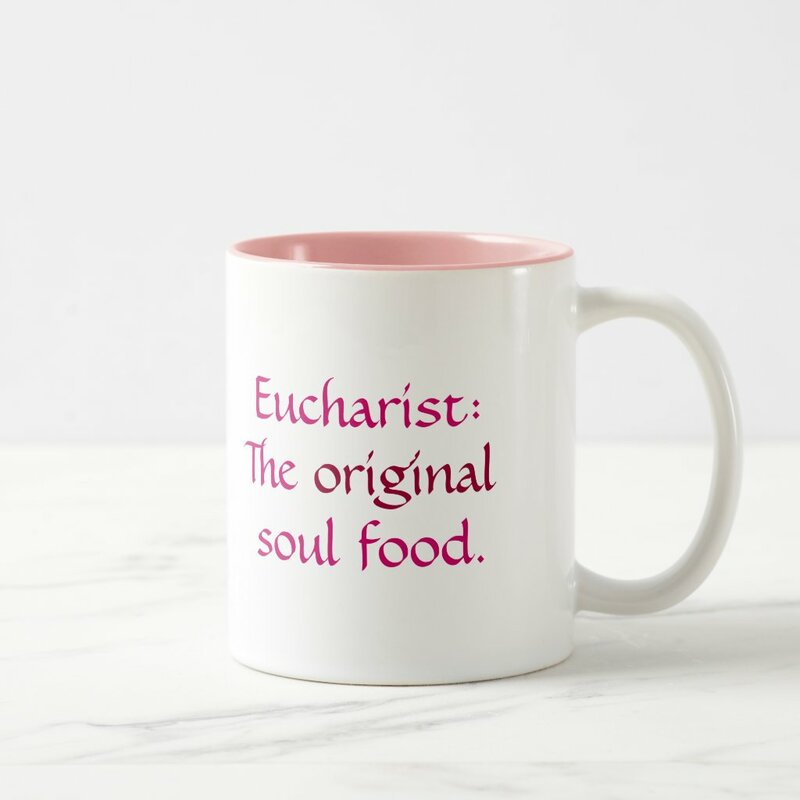 The life and spirit of Jesus is now present within the receiver of the Eucharist (good -gift). It is because of this truth we call the experience ʻHoly – Communion (many becoming one with the one who is Holy – God). After receiving communion how could you develop a greater appreciation of this physical intimacy with Jesus? Consider making up a personal prayer to pray at this time of silence after communion. This entry was posted on Friday, August 21st, 2015 at 1:36 am	and is filed under General. You can follow any responses to this entry through the RSS 2.0 feed. You can leave a response, or trackback from your own site.